Our goal is to focus on the health and wellness of future generations, starting with helping children live their best life. Together, we’ll empower your child to reach their fullest potential. Many parents here at Davis Family Chiropractic see the benefits of providing preventative chiropractic care for their children. They’ve reported their children have noticed improvements in their immune, digestive and respiratory systems through care. A healthy start for infants. We feel it’s imperative for all children to be checked by a chiropractor throughout their childhood. 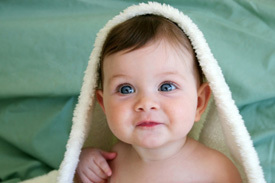 Chiropractic care early on can ensure your child’s nervous and immune systems are developing optimally. As your child continues to grow, we want to make sure they can develop properly. Birth trauma, improperly carrying your baby and excessive time in car seats can cause spinal misalignments. These problems often present themselves as common newborn health complaints such as colic, reflux, earaches, and excessive crying and problems breastfeeding. 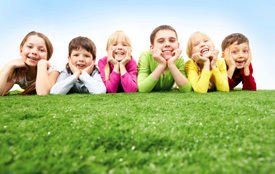 Preventative chiropractic care for children. Learning to walk, repeated bumps and falls, organized sports and playground falls can cause subluxations in young children. We’re here to help your child find relief from issues including scoliosis, bed-wetting, asthma, headaches and neurodevelopment disorders. During this last stage of spinal development it’s important your teen is growing properly. Poor posture, heavy backpacks, contact sports and normal growing pains can lead to your child experiencing headaches, scoliosis, PMS, back pain and ADD/ADHD. Through chiropractic care, we can help your child feel great so they can enjoy their teenage years. Many childhood disorders may be the result of nervous system imbalance and have shown improvements through our Building Bridges Program. Building Bridges is a unique and comprehensive program to work with children with Neurodevelopmental disorders like ADD, ADHD, Autism, Asperger’s and Sensory Processing Disorder. Your child’s growth and development can stay on track by taking care of his or her spine and nervous system. Through specialty chiropractic care, neurointegrative exercises and nutritional modifications, the function of your child’s nervous system can greatly improve. For more information on chiropractic care for children, visit the International Chiropractic Pediatric Association website.